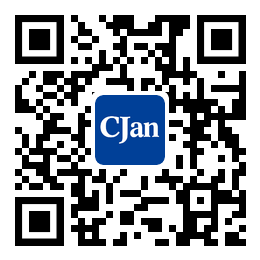 ﻿ FAQ - CJan Fluid Technology Co., Ltd. The appropriate method for storing hose depends upon many factors including hose ID and length, the stored quantity, and its packaging. Care should be taken when stacking hose, as its weight can crush hose at the bottom of the stack. Hose which is in coils or bales should be stored in a horizontal plane. Whenever possible, hoses should be stored in their original shipping contains to provides some protection against the deteriorating conditions described above. Hanging coiled hoses from spikes or hooks is not recommended. The ideal temperature for the storage of hoses ranges from 10°C to 21°C (50-70˚F) with a maximum limit of 38°C (100 ˚F). Besides, avoiding sunlight is very important, so the proper storage area should be relatively cool and dark, and free of dampness and mildew. Products should be stored in a rule “first in, first out”. When long term storage cannot be avoided, e.g. for one year, the item should be thoroughly checked before it is put into operation. There are two states about our products, stock, and no stock. a. Stock: will delivery within 3 workdays upon receipt your payment. b. No stock: Normally will delivery after 2~3weeks upon receipt your payment. Yes, we can customize products as your requirement or design drawing. You could contact us for further communication.